Ariana Grande and Pete Davidson's split in October changed plenty of things. The breakup impacted the world's view of both stars, and of course, took an emotional toll on the two. The breakup also impacted Ariana's music. You can hear the lingering effects of the split in her new album, Thank U, Next. Even the album's title song particularly addresses the breakup. "Thank U, Next" was the first song she dropped since the breakup, and it infamously mentioned all of Ariana's exes, including Pete. The opening verse about Big Sean, Ricky Alvarez, Mac Miller and Pete will stick with us forever, but those lyrics was initially different. 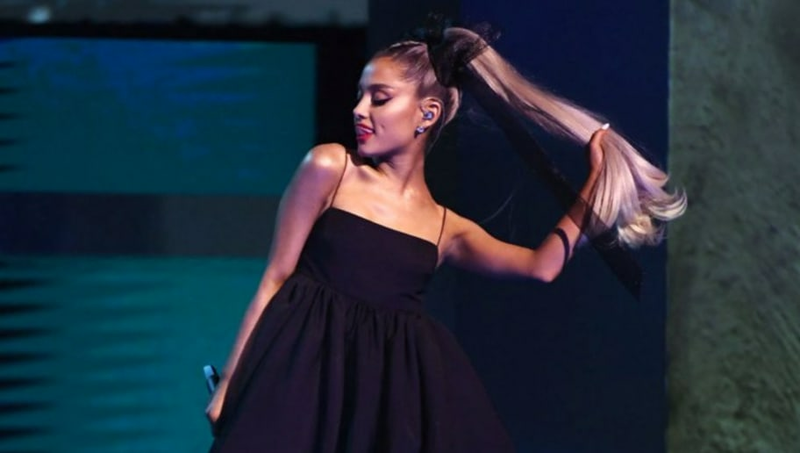 In an interview on the Zach Sang Show posted on Saturday, Ariana revealed that she recorded two alternate versions of "Thank U, Next," including one without the names. "I was also trying to be protective," she said. "In my relationship [with Pete] at the time, things were like up and down and on and off, and so I didn't know what was going to happen and then we got back together, so I had to make a different version of it, and then we broke up again, so we ended up going with that verse." "There's a version where I was getting married, there's a version where I'm not getting married, there's a version with nothing—we're not talking about anything," Grande continued. "But we all knew that the first version was gonna be the version we ultimately went with." The singer's comments give us some revealing insight on her relationship with the comedian, with the most interesting one being the fact they had broken up once before (or maybe after) their split that captured headlines. As Ariana mentions in the interview, it was very scary for her to namedrop her recent exes on the track. But we're glad she decided to run with it, because it may have been helpful during her coping process.